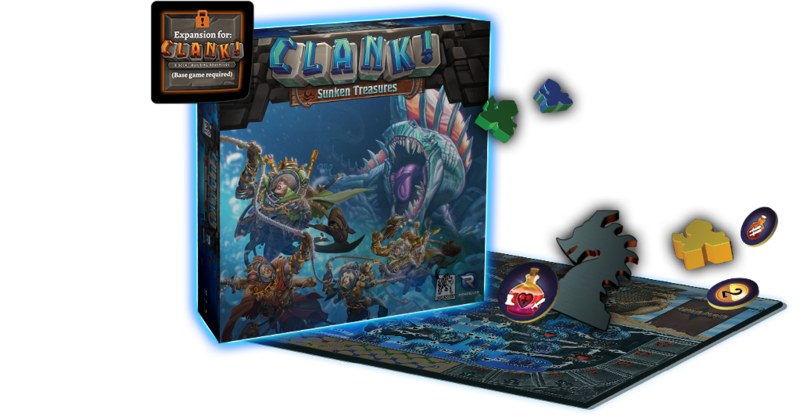 While we're known for our digital card and board games, Clank! A Deck Building Adventure is Dire Wolf's first physical boardgame! We hope you enjoy it as much as we've enjoyed making it with our friends at Renegade Game Studios! 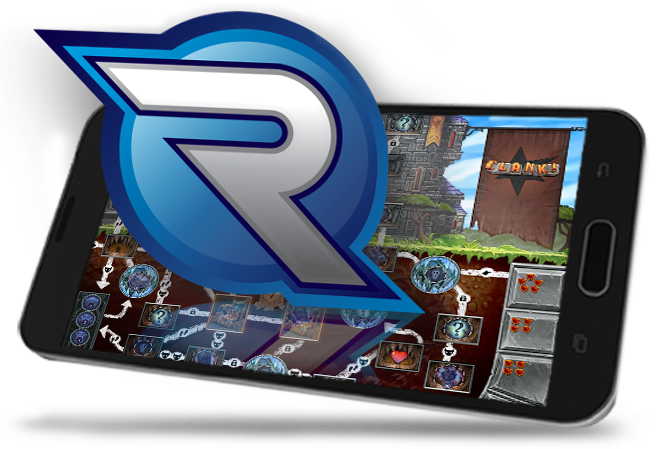 Get ready to Dive into the newest addition to the Clank! Family, Clank! Sunken Treasures! 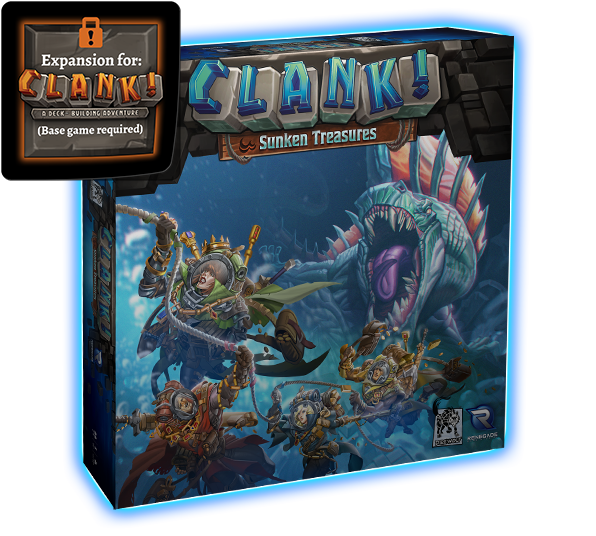 Created as an expansion to the original Clank! 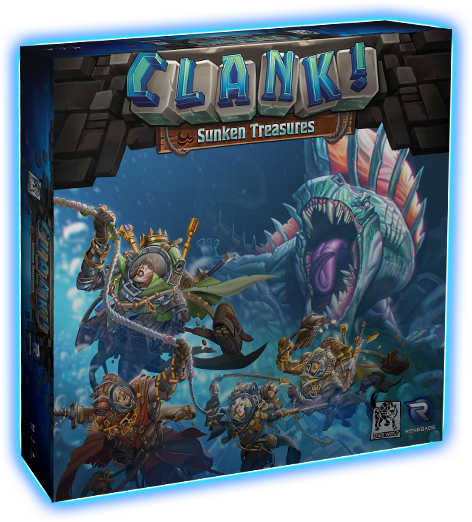 A Deck Building Adventure, Sunken Treasures plunges would-be thieves into flooded caverns, leaving them to swim for their lives. Recruit new companions with new abilities to help your journey, but Beware of the new monsters that are lurking in the depths to dampen your spirits. 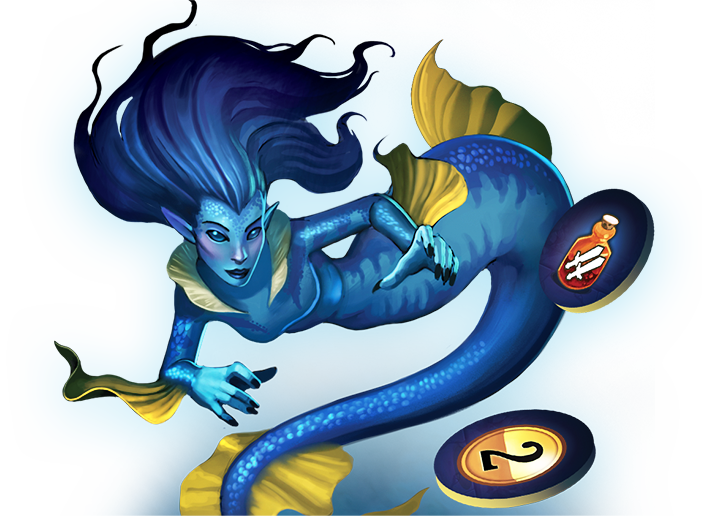 Fight your way through to thieving glory, or be forever lost at sea!" This tabletop game can be enhanced by the Renegade Companion App! Save records, play single player, or just spice up the multiplayer experience! Will you dive into the watery depths, hoping your splashes don't draw the wrath of the angry dragon? Or will you stop to gear up and purchase a Sorcery-Created Underwater Breathing Apparel from the Market? Check out video reviews to get all the details! The Clank! base game is required to play this expansion!